Our Raw Organic Colostrum is full of proteins and vitamins. 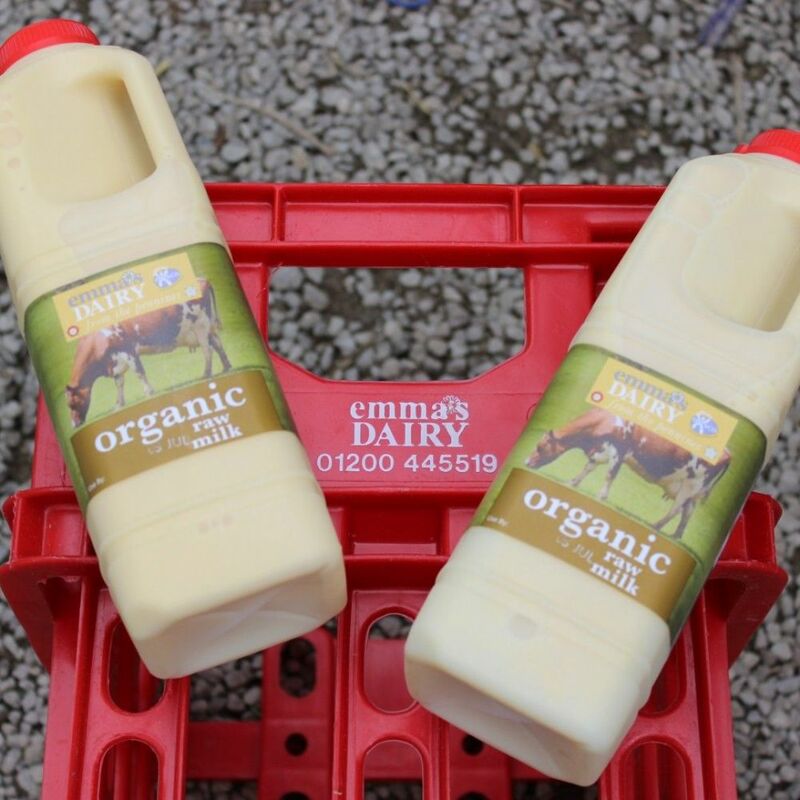 Milked straight from our organic grass fed Old English Dairy Shorthorns free to graze our beautiful organic, species and herb rich meadows and pasture produce a milk that is naturally high in omega 3 fatty acids. Raw Colostrum is the rich and creamy first milk that nature designed to be a real kick start to life for a new born calf – we call it rocket fuel. Without the vital first milk a calf will miss out on all the important antibodies that passes from cow to calf through this medium. Rich, deep yellow and very creamy this when settled is about 50% fat which is where its deep yellow hue comes from. Raw Colostrum has many health benefits and we are often told by our customers that they have felt improvements to ailments and they put this down to the Raw Colostrum. This is a raw product and is not intended for drinking (although some of our customers swear by it straight from the bottle) but rather to be used in a wide range of culinary applications – It makes a really rich custard and is widely used in Asian cooking. This is probably the only place you can buy raw colostrum in the UK. Please note, this product is very rare and we milk a cow for colostrum at the end of milking into the line where we then transfer it to chill and hand bottle it. It also has a limited availability as we only use colostrum from the second day after calving so it is only obtainable 1 day in every 400 or so per cow. When requested we can call you directly to let you know we have colostrum for sale, simply email us via orders@gazegillorganics.co.uk (don’t forget your contact details) in which we will be in touch shortly after to confirm stock levels. This raw organic colostrum is priced at £35.99 for 3 individual 1 litre bottles including free delivery.